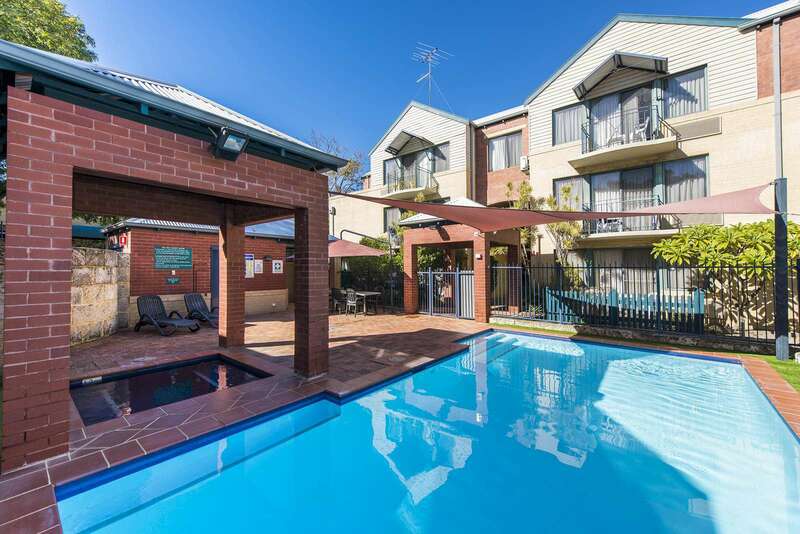 Exective style second floor apartment with pool and spa - sleeps 6. 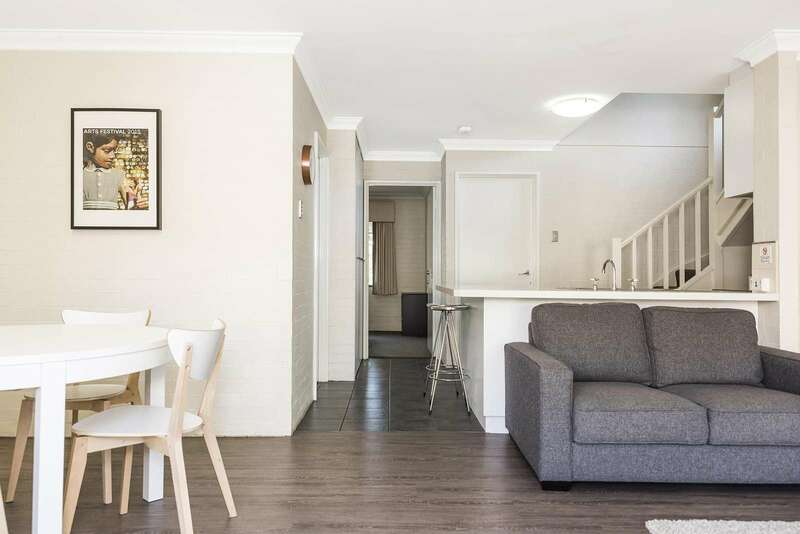 This second floor apartment offers family friendly accommodation in the heart of Subiaco in a tranquil setting. 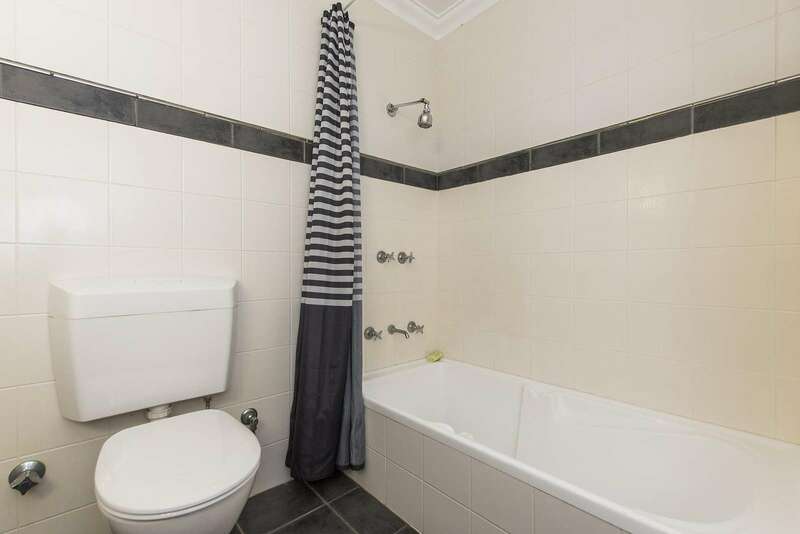 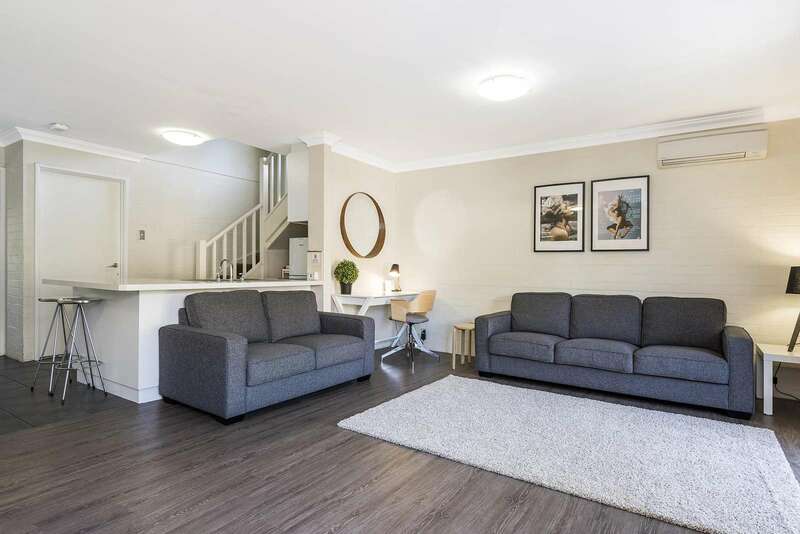 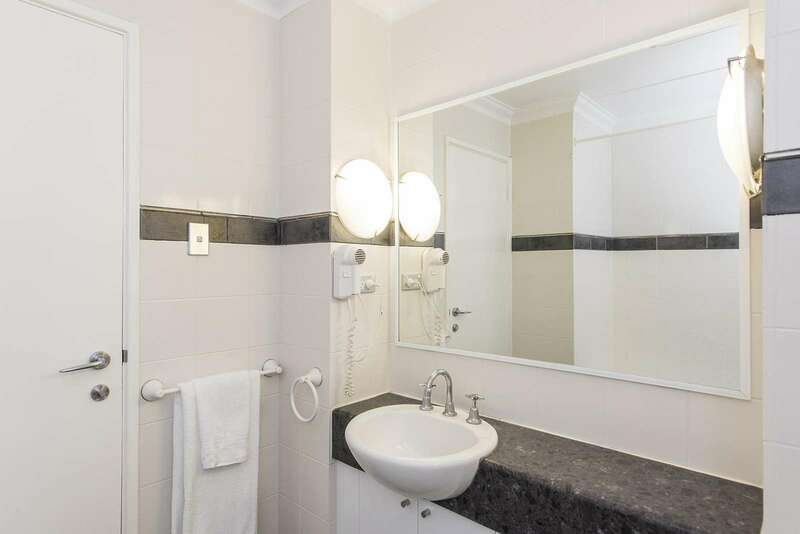 Situated on the most north eastern corner of the complex, this apartment's address would be more accurately described as - corner of York and May St, a very quiet location. 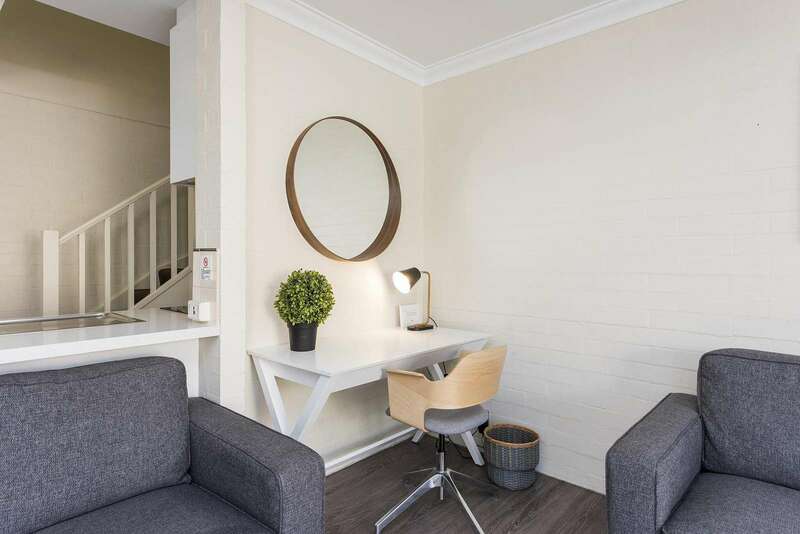 You have the luxury of parking your car at your doorstep and walk to all that Subiaco has on offer. 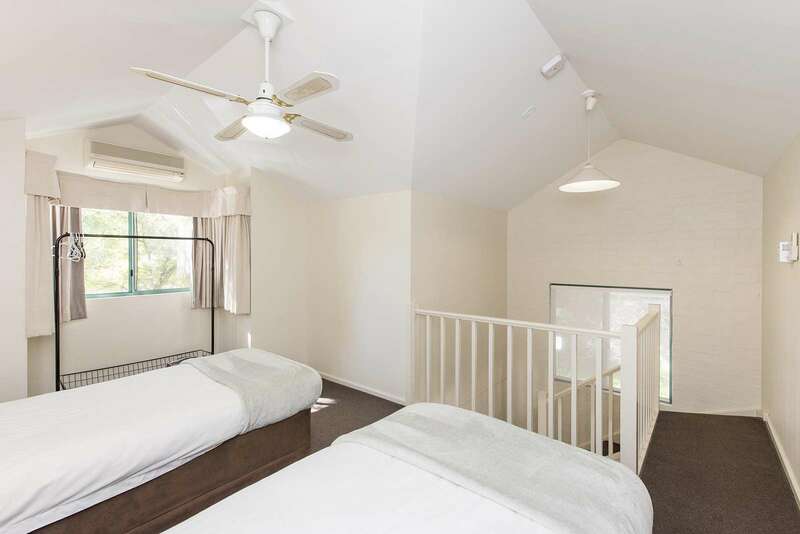 Accommodation consists of a queen bed in the master bedroom, twin beds in the very roomy second bedroom and twin singles in the loft. 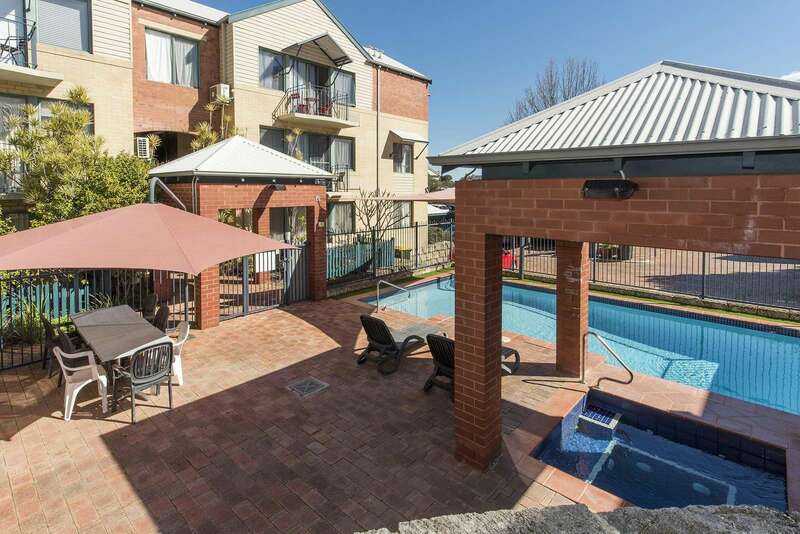 There is a shared BBQ alfresco area at the swimming pool just nearby. 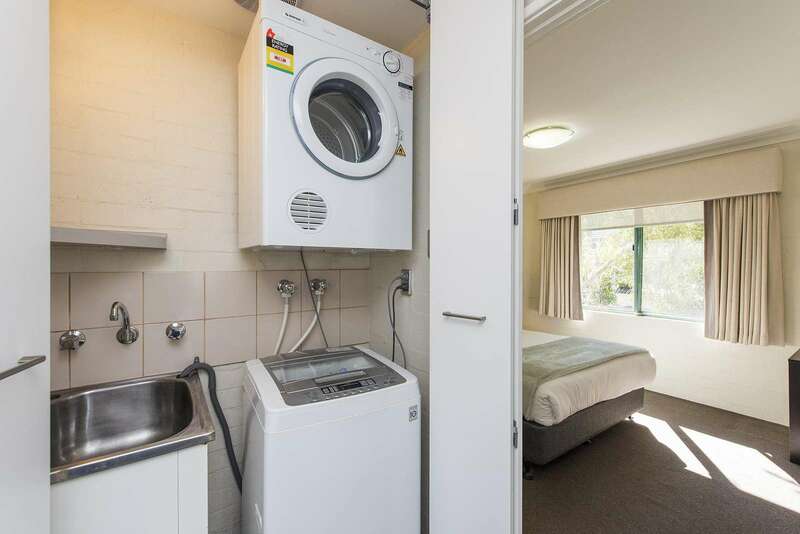 Internal laundry comes with a washer and dryer. 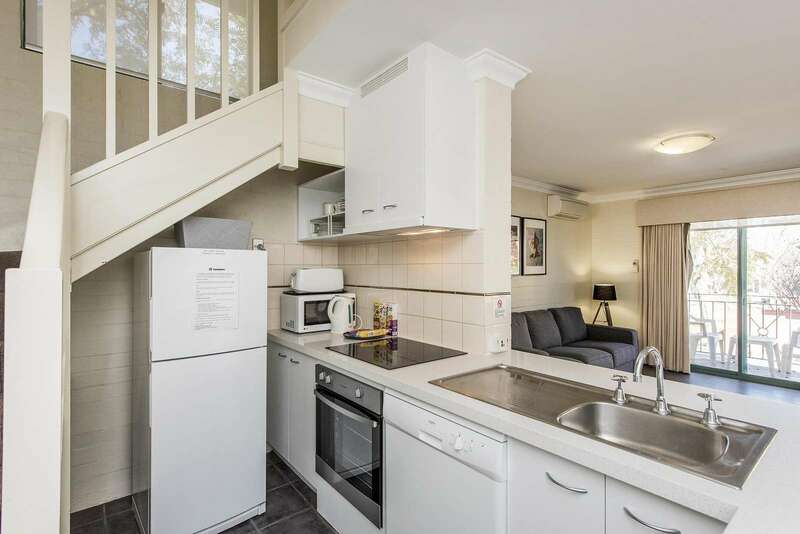 Offstreet parking provided for 1 car. 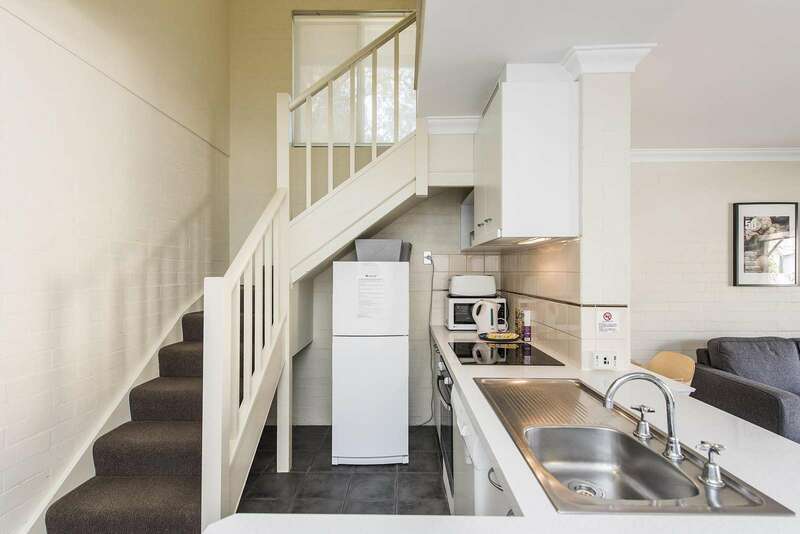 There are stairs to the apartment and also within the apartment. 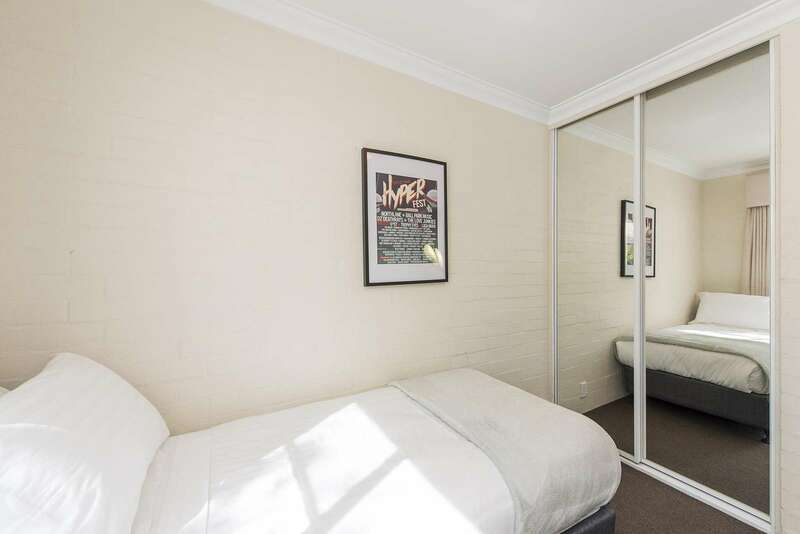 This property has 1 Queen(s), 2 Twin(s), 2 Twin(s). 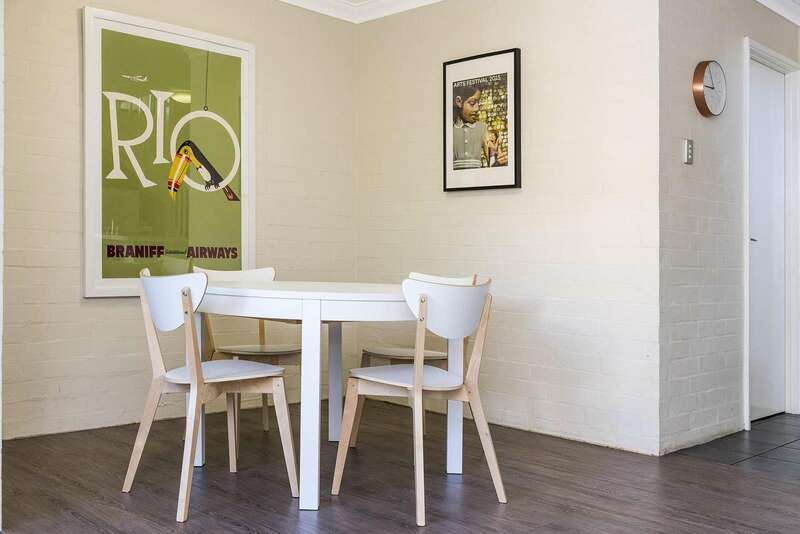 "Subiaco Village 30 is an exceptional place for families to stay. 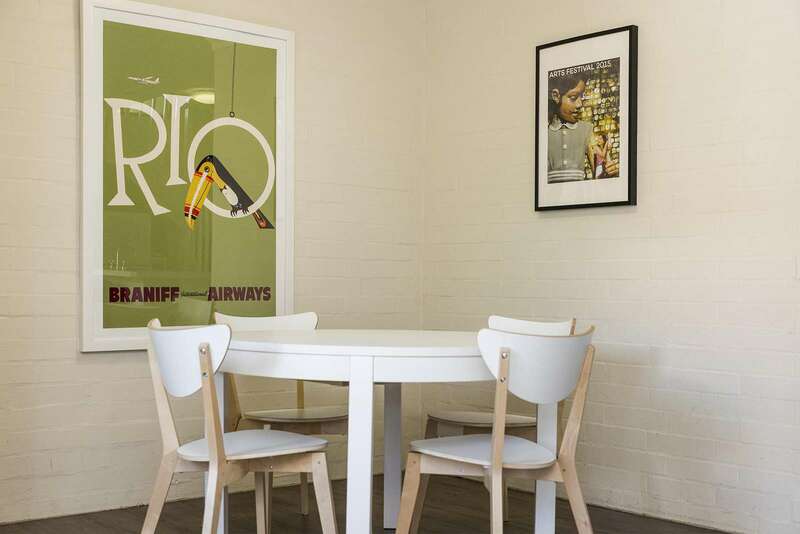 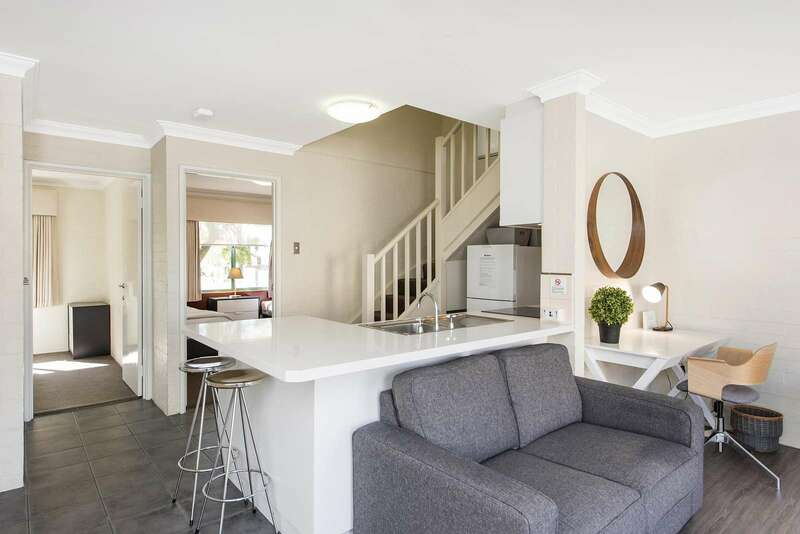 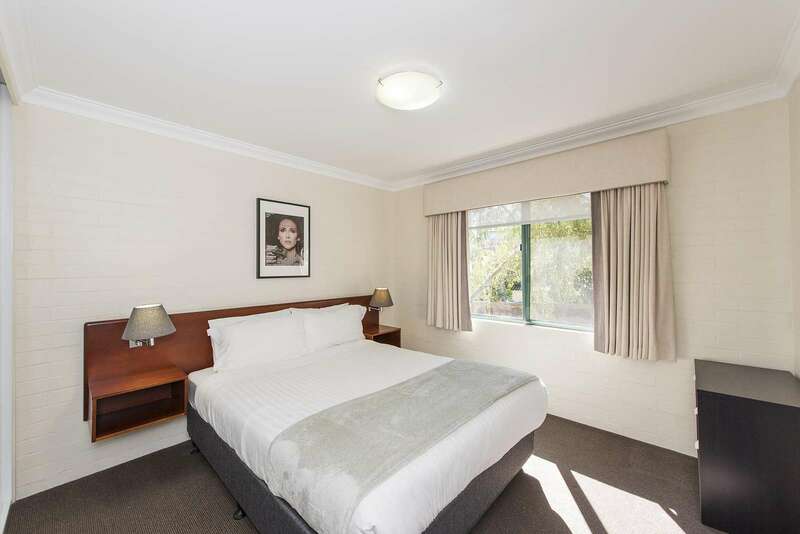 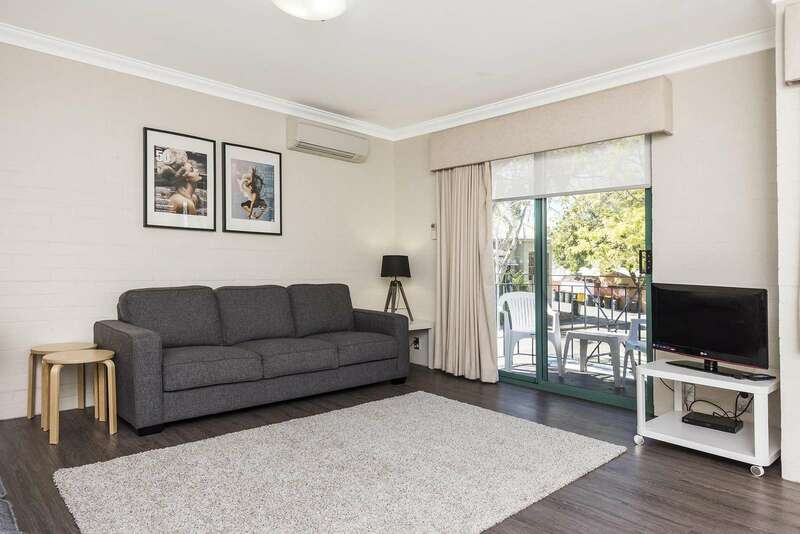 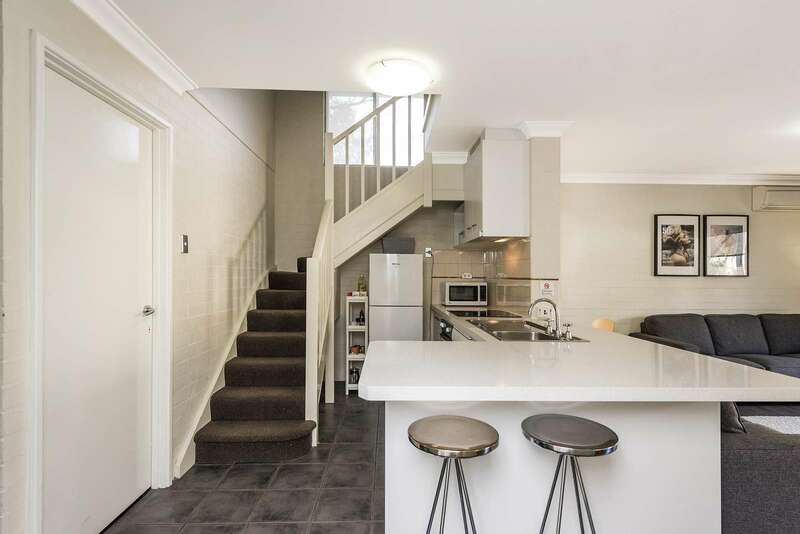 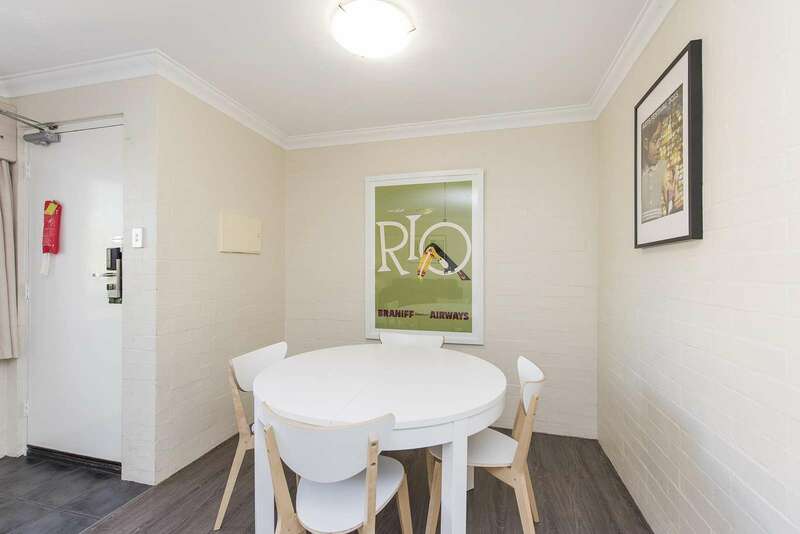 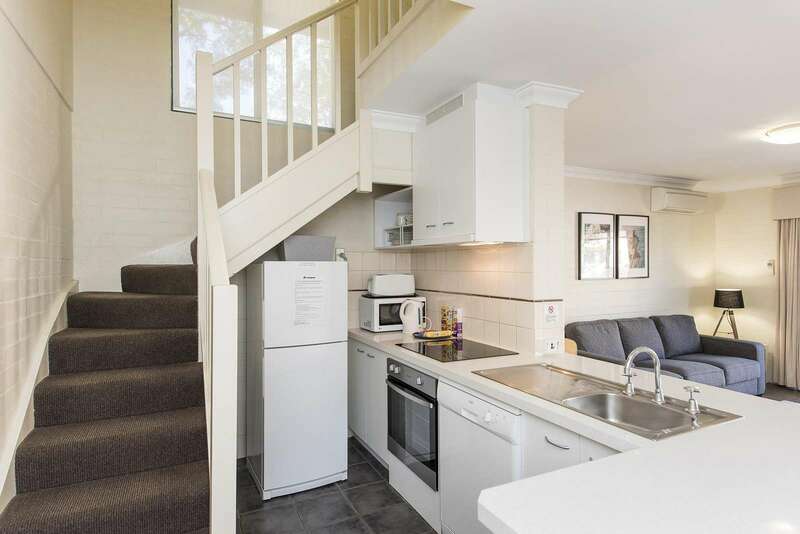 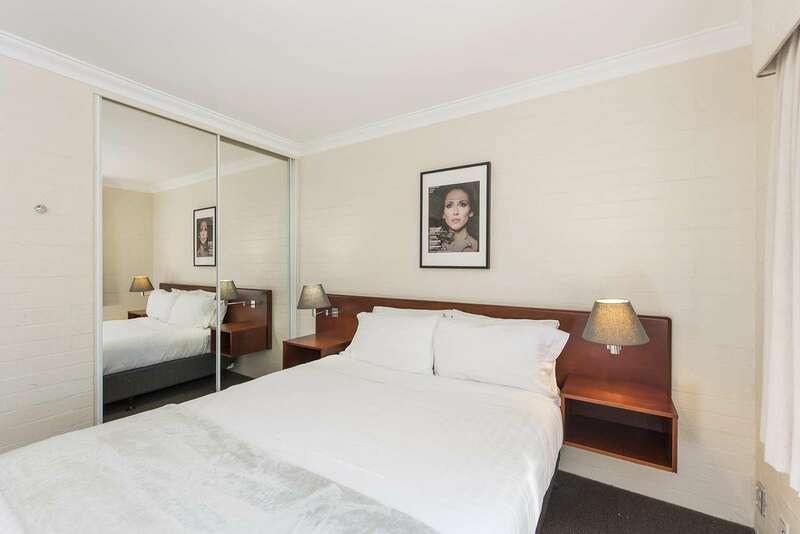 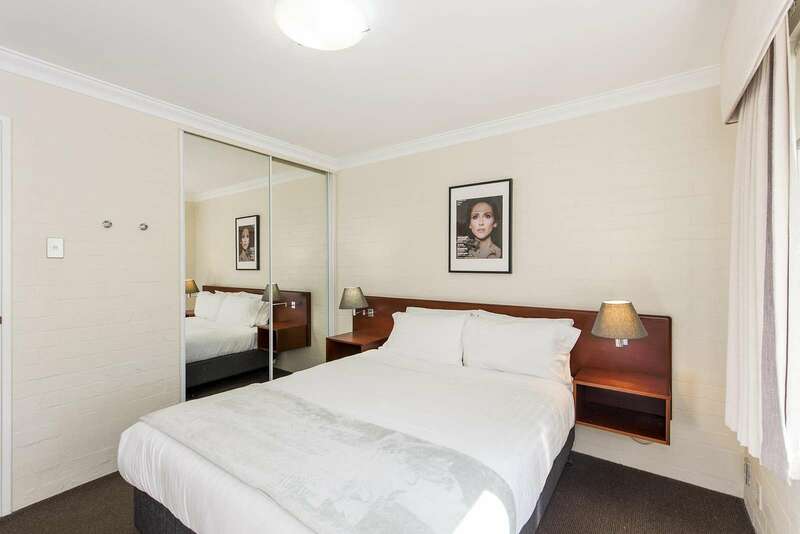 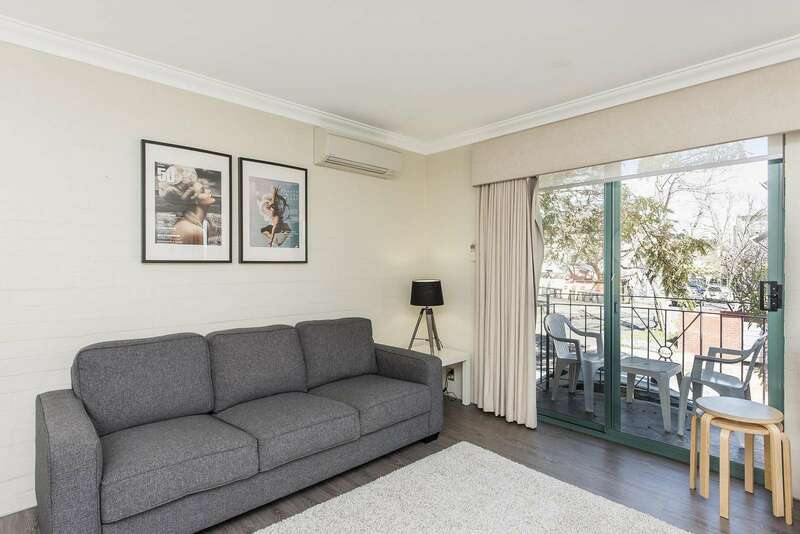 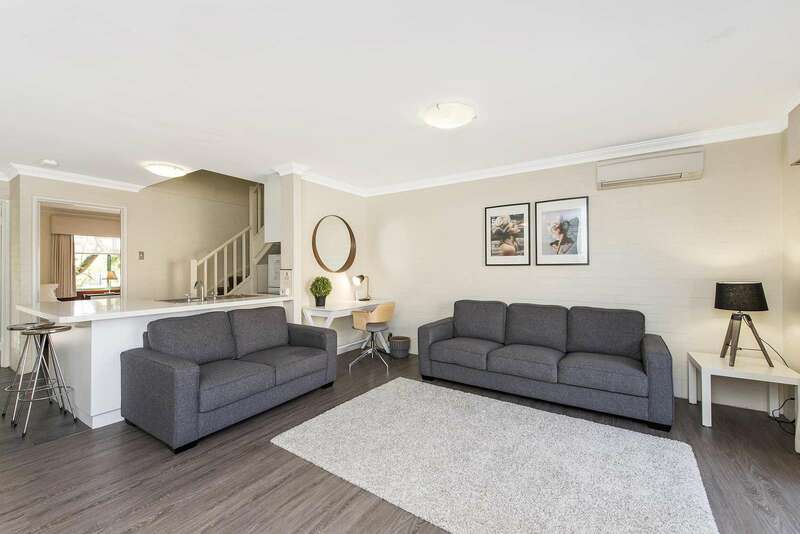 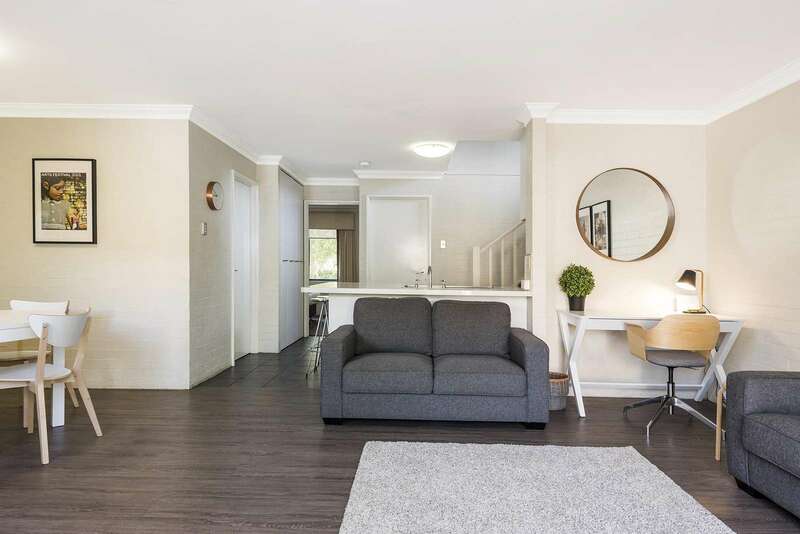 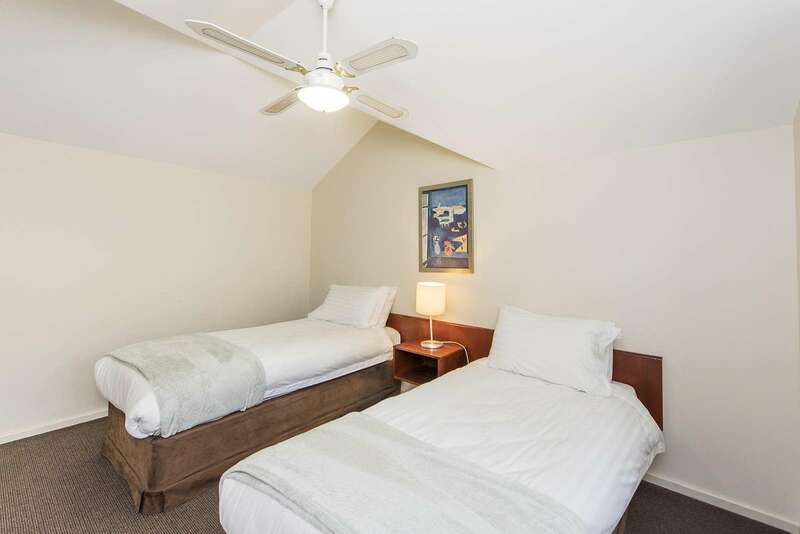 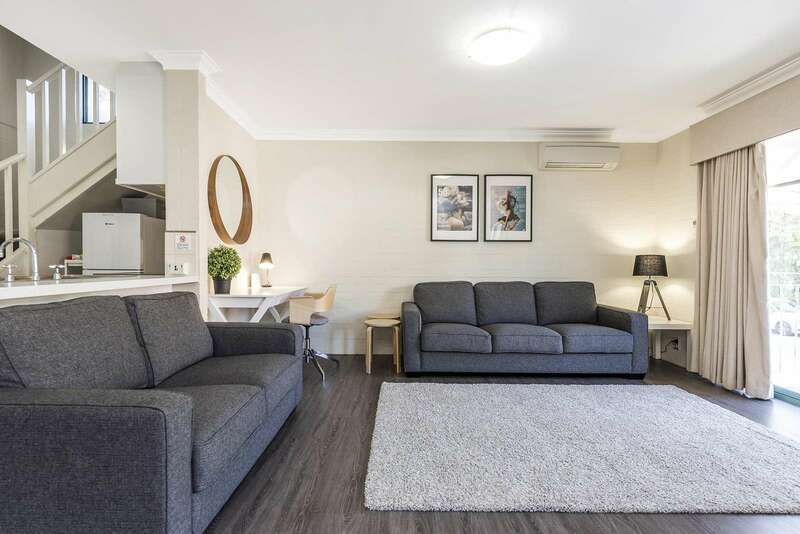 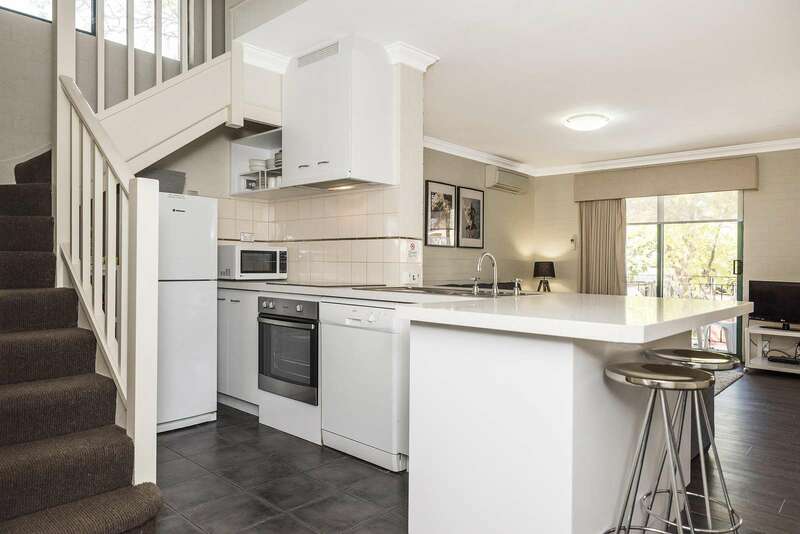 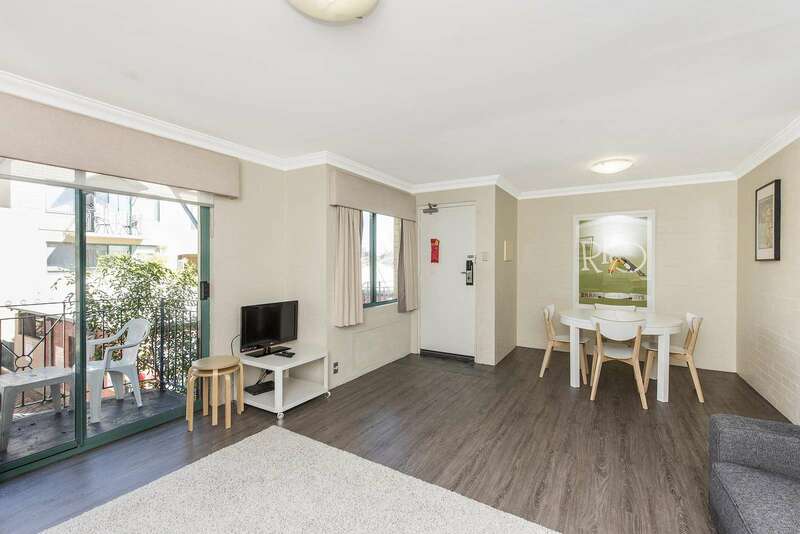 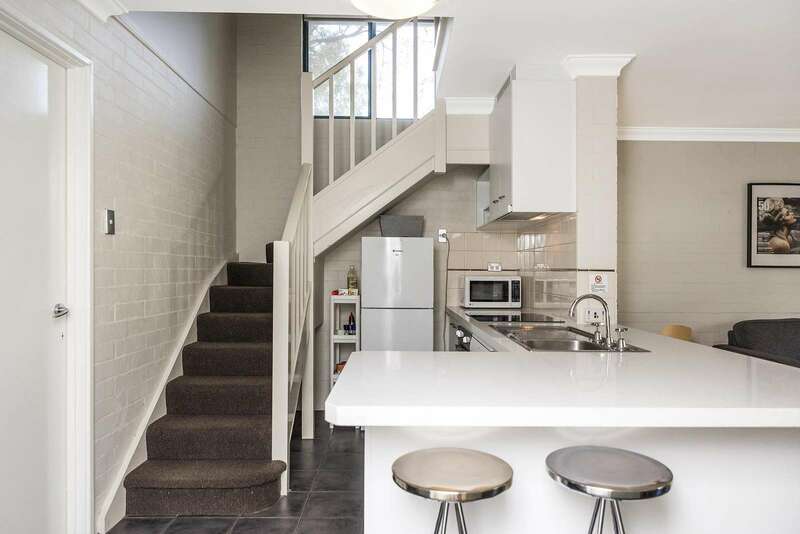 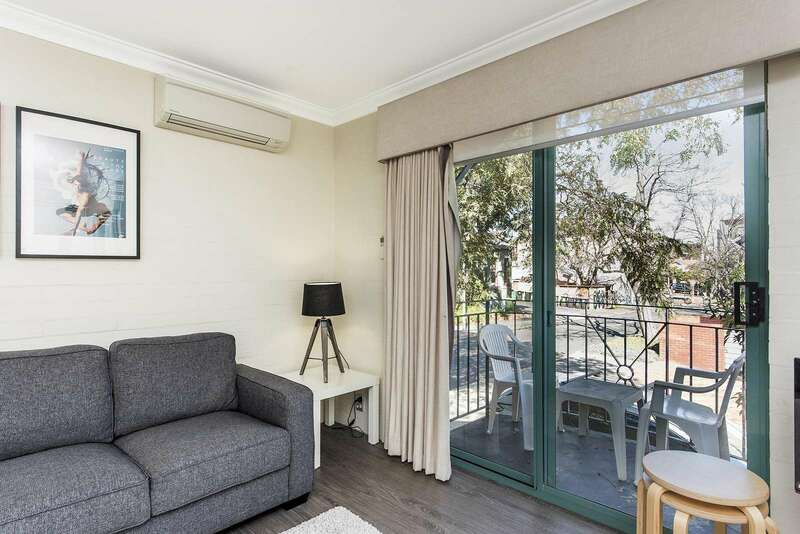 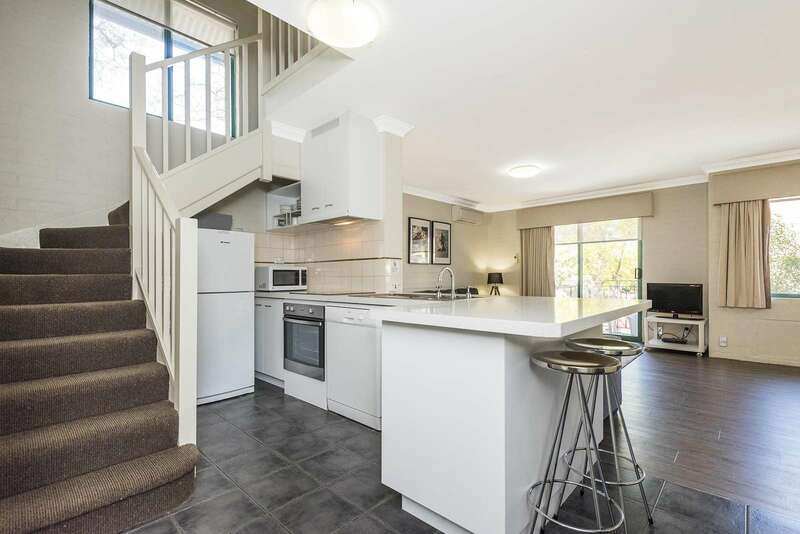 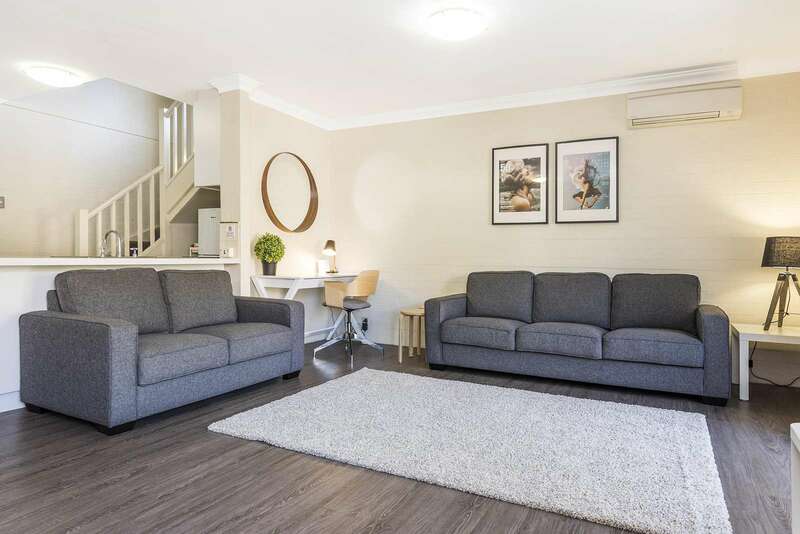 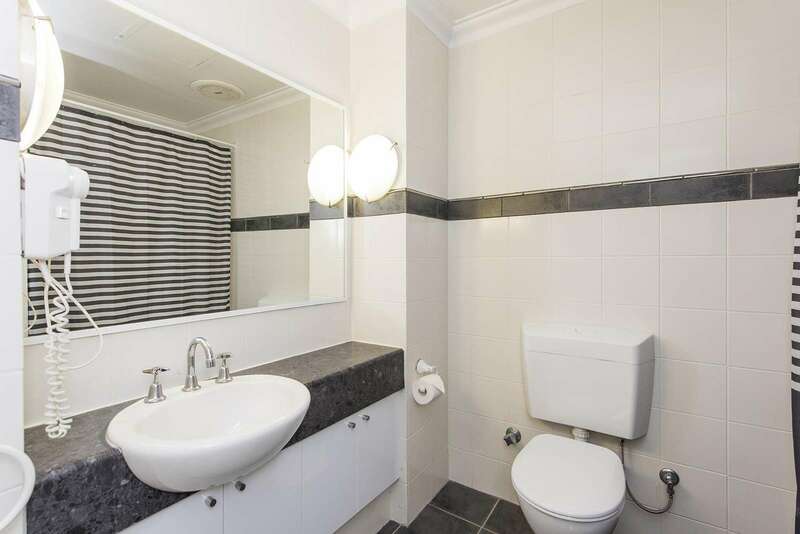 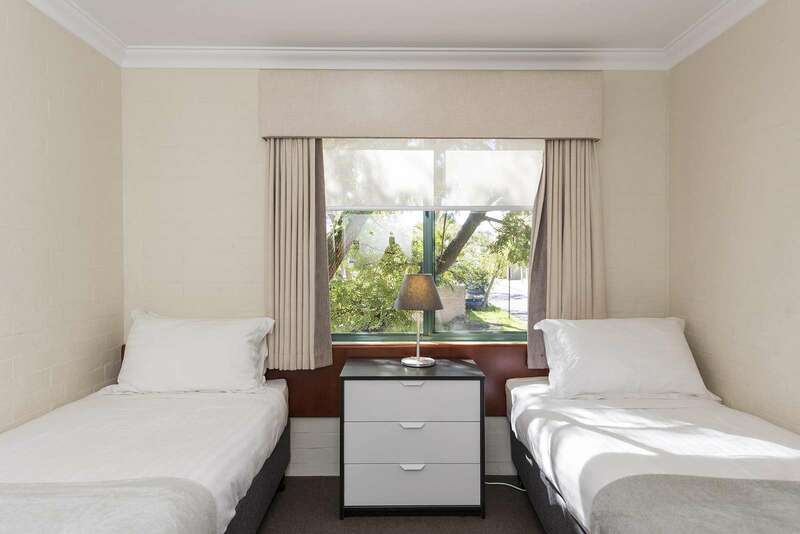 Only a short distance to the Perth CBD, it is perfect for holidays. 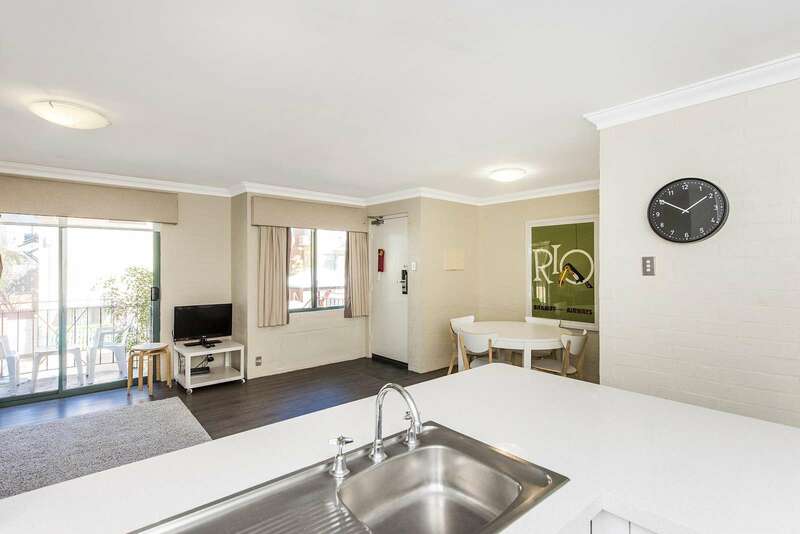 Excellent apartment, excellent cleanliness and excellent communication from our host. 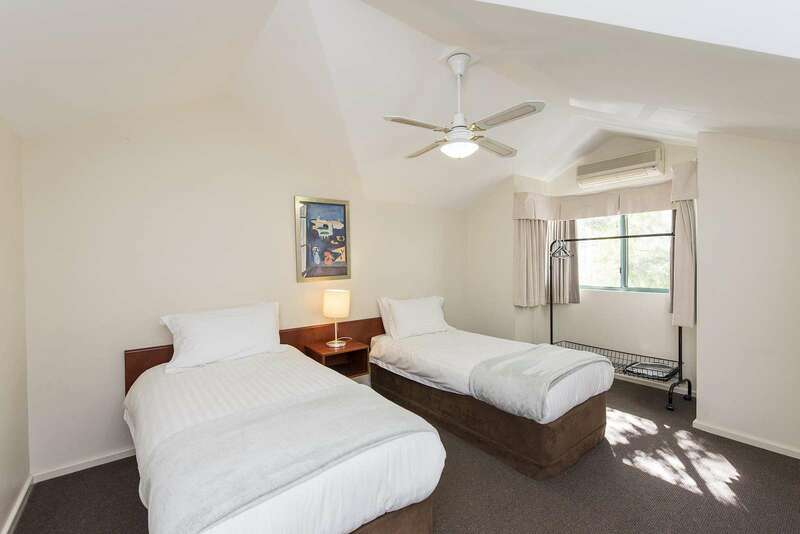 Would definitely recommend staying here!"